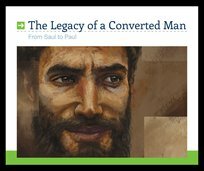 The Apostle Paul was crafted for God’s purposes. He was God’s agent who would spread the Gospel to the nations of the Earth. Yet this was not a position of grandeur and glamour. As Paul testified before all who would hear him, he was assaulted with regularity, suffering for the cause of Jesus Christ. In this series of six sermons, Pastor Erwin Lutzer provides a brief overview of God’s magnificent ministry through the work of Paul, explaining how we too can join in Paul’s service.